Are you Hawaii’s expert on all things Dragon Ball? Do you spend your days searching ebay for rare figma and anime-related merch? Maybe you have always dreamed of hosting a game show on obscure anime trivia? Whatever the case, it sounds like you should host a panel! 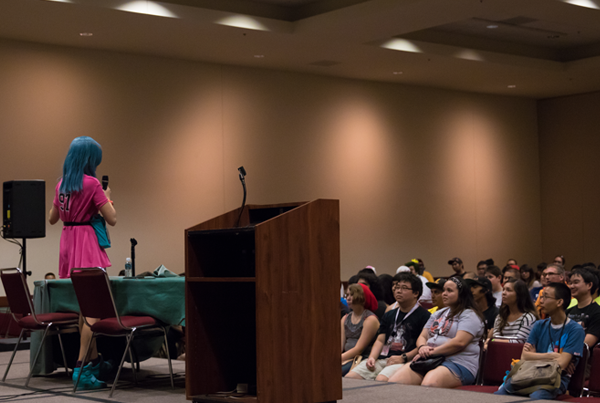 Hosting a panel is a great way to share your knowledge with other fans, network with convention attendees, and shine on stage. Here are a few tips to really make your panel submission shine! Pick a topic you have a thorough knowledge of – it can be anything you like. Share your passion. The more excited you are about a topic, the more engaged your audience will be. Make an outline. Get thorough here. Break up your panel into main points you would like to cover and figure out how long you need your total panel to be. Plan for some Question and Answer time if you have an informative panel, but also be prepared to drive your panel forward in the event no one has questions. Determine what items you will need for your panel – do you plan on having a powerpoint? Do you want to play some catchy tunes? We need to know all of that when you submit your panel proposal! Fill out the panel form completely and as detailed as possible. Start preparing your materials early on. Even though approvals don’t go out until January, it never hurts to prepare early. If you can show us your dedicated, we will generally approve your panel. Once you’ve submitted your panel, you will be contacted by the Events Director / Assistant Director to let you know that your submission has been received and if any additional information or changes are required or advised. We will send out approvals on a monthly basis. For time slots, preferred times are not guaranteed. We will do our best to accommodate your requested time, but it is dependent on exactly how best we can balance all items into the schedule. Schedules will be finalized sometime early in 2016, so please be patient with us as we try and find the best times for all scheduled panels and events. All panelists will be emailed once the schedule is mostly finalized on your time slot for your approval. 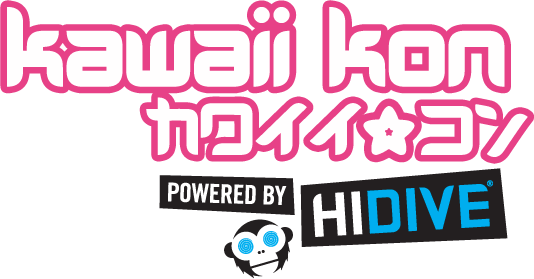 In addition, although your panel times may have been previously approved, Kawaii Kon still reserves the right to modify the schedule at any time for any reason: for example, last minute changes in guest events. Any affected panelist will be notified as soon as possible of any changes and asked if you will be able to accommodate the new time. Completeness and uniqueness of your plan. Space available in the schedule.